Several years ago, the Proverbs 31 team all took the StrengthsFinder 2.o test to identify our areas of strength. One of my top five strengths is “Input”. That means that I’m a hoarder. My husband would tell you that I’m a declutter-er to the extreme with our material things (oh the sorrow over giving things away that my people considered treasures! ), but I hoard ideas and information. Hi. I’m Amy, and I’m a resource junkie. 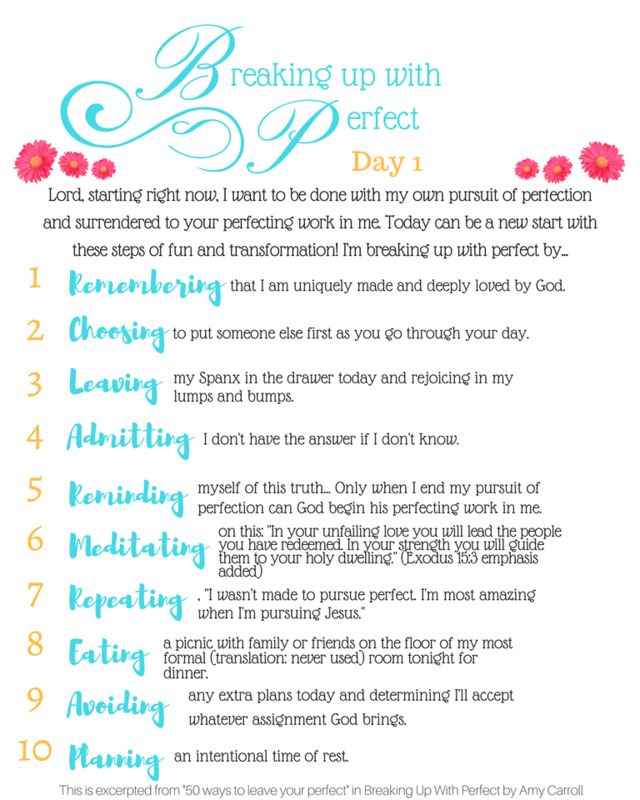 One of the things I want to do as we go through Breaking Up with Perfect together is to share some resource love, so I’ll have a free download each week here on the blog. On our private Facebook page, I’ll share a link to some nugget of information gold. We’ll keep it fun there– songs, quizzes, etc. Here’s your first freebie. I hope you’ll click on the graphic below to access the download which you can print to help you jump-start those action steps. my name is Rita, I was born in Italy but through my marriage I ended up living in the US. We are so much needing revival here in this country it is unbelievable that the power of God has moved away from us to be felt among the third world countries in such a tangible way. I know of a Romanian lady that at age 70 went back to her own country to start a mission among orphans and gypsies. And she was successful. God is so faithful if we can just but trust Him. your story and film is another confirmation. I know exactly what you felt because anybody can feel it just by listening to Raju speaking. May God bless you and also bless Raju’s efforts, that many more good things may happen in that area in India!! Hate and anger was producing nothing, but faith in God made a difference. Just like Paul says: the things we cannot see have produced what we see. I believe every word you wrote, especially about the very presence of God in your midst. There is no greater blessing than to know that awesome power God freely shares with those who belong to Him. Bless you! Shelli, thanks for your sweet encouragement. I’m so glad you’re enjoying the book! 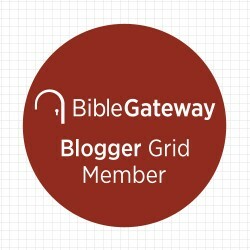 Although some of the information will only be offered on the Facebook page, at the end of the study, I’ll come back and add the videos we’re doing on Monday evenings with the blog post from that week. I’ll make sure to include the links so that you can go back through and watch. I’m glad you’re joining us here!